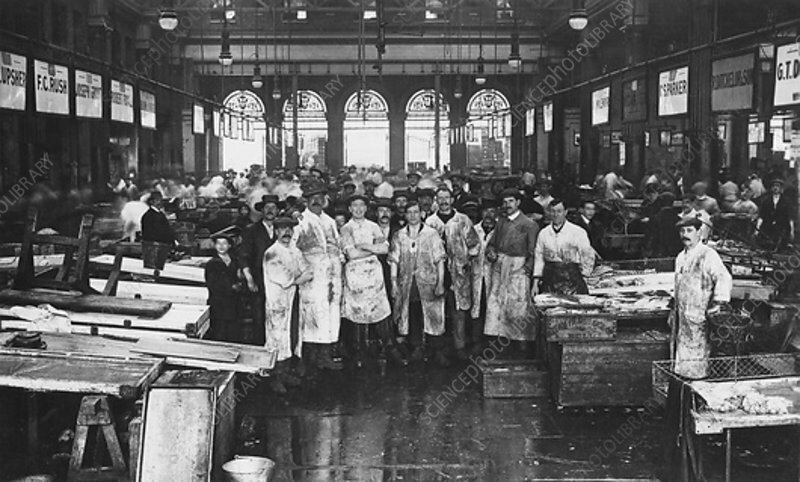 The interior of Billingsgate Market showing fishmongers and their stalls, London, c1918. London's main fish market, Billingsgate Market became established on Billingsgate Wharf during the 16th century. It moved to a new location near Canary Wharf in 1982.